Let’s all get real here – biryani is absolute bae and goes with anything, any mood or any occasion. 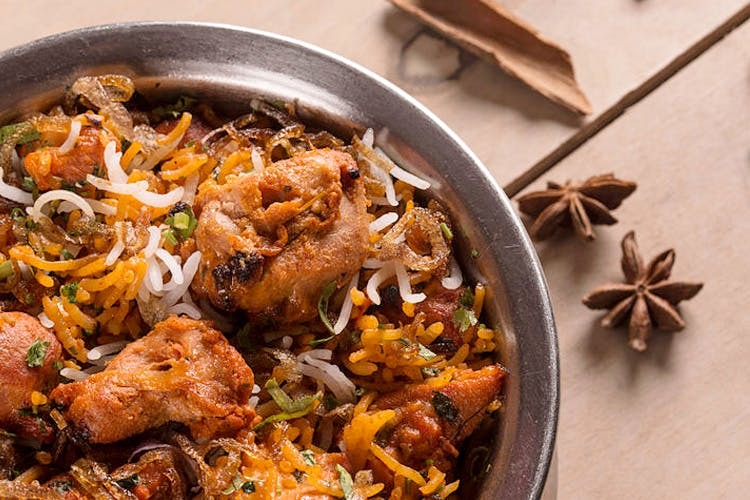 Catering to this specific need, Paradise Kitchen serves some great ‘ol Hyderabadi biryani in places like Thane, Airoli and Kopar Khairne. While the most popular dish is their Hyderabadi biryani, it’s a non-vegetarian’s paradise because they also serve different types of dum biryani, tandoori and kababs, shorbas; starters like chicken chilly, mutton crispy, chicken lollipops; combo meals that give you the best of both worlds (affordable and filling) and they also undertake bulk orders for biryani, perfect for those house parties we’ve always planned. The biryanis are served with leg pieces and raita and lots of flavourful rice, so there’s a lot to look forward to! While the vegetarians might be a tad disappointed as Paradise Kitchen falls short on the green menu, it’s worth a binge for all you meat lovers.